How Econet is stealing your airtime! I recieved the above sms from 31110 and from its wording, nothing says this is a service I will pay for! The word “Free for 7 days” is as clear as the sun! I then topped my phone with data off and still my airtime vanished! I told them so and they told me that its the service from 31110 that is deducting my airtime at a rate of 25cents! I kept sending MONEY STOP as per instructions but the messages kept coming in and deducgting my airtime! I called Econet again after a week and they promised the messages will stop! I sent them a twit and still the messages kept coming in. So far I now have 40 messages and still the messages have not yet stopped! I got the shock of my life when I called customer care yesterday! I was told if you send in MONEY STOP as per the messages instructions the messages wont stop but I had to capitalise only the S in Stop! So Econet sets upon us companes from South Africa to scam us? So they deliberately send fake unsubscribe messages so that you are kept locked in their scams? That message is worded From Econet but their customer care told me thier are coming from “non Econet service providers based in South Africa”! Another pissed off brother also wrote a letter to Econet/Strive Masiyiwa on their systematic way of stealing from the poor and then teaching their customer care agents to lie through their teeth. This brother also noticed that Econet steals airtime from ist subscribers and pretends its your smartphone that is consuming data. Its high time we stood up against Econet. Its high time Econet was shamed in public. Why should Econet pretend to be a God fearing firm when they run scams and theft syndicates in day light? Even if they donate thousands to Capernaum trust and Higher Life Foundation if its from money stolen from me then am afraid Econet is just as ungodly and needs Potraz to reign them in. Apple will soon unveil its newest flagship smart phone. Most gadgets websites have been awash with rumours of the new devices. Of interest to us is the Iphone 5C which is rumoured to be a cheaper Iphone for low end markets. Well these are just rumours and nothing is official so take these news with a biggish pinch of salt. The Iphone is thought to have dual LED flashlights. However I have never been a fan of IOS and Iphones. Feature wise Android beats Iphones. In Android land there is quad core processors, Super Amoled displays and of late, Octa-Core processors. Besides there is Optical Image Stabilisation something unheard of in Apple camps. Well lets not spoil it for Apple and Iphone lovers. The 10th of September is your day. Google is realeasing a new version of Android and its named Kitkat a Nestle the name of a Nestle Candy bar. You will notice that Google seems to be following the alphabet in naming their software versions. We wonder the next version of Android would be called. What do you think the L will bring us. In more Google news, there are now over 1 billion active Android devices the world over. Well it means almost 1 in every 6 people owns an Android device. After rumours made rounds that the next Android version will be Android 5.0 and be named Key Lime Pie Google went on to prove the rumour mill wrong by releasing Android 4.4 named KitKat. To us Zimbabweans KitKat has no meaning but it is the name of a Nestle made candy bar. We don’t know what this version has in store for us. Below are the names of previous Android iterations and their human friendly names. We wonder what features will the new version bring us. Soon after news of the Nokia Microsoft transaction got out the investors reacted and this saw Microsoft share dipping by 5.2%. To those who understand business, such a move is a vote of no confidence to Microsoft. The reason being Microsoft is buying a loss making unit for 7.2 billion bucks and as part of the deal Microsoft is also inheriting the more than 30 000 strong Nokia work force meaning low revenue per share to Microsoft. On the other hand investors have finally approved of Nokias move of jettisoning a lose making unit and they happily rewarded Nokia by buying more shares which led to a phenomenal rise by 47 percent in the share value. Well back to the Nokia issue, I think Microsoft won’t do much to turn the fortunes of Nokia around. Microsoft the PC software giant known for its windows operating system has bought Nokia for 7.2 billion dollars. The former mobile phone giant missed out on the smartphone wave by holding on to their Symbian OS and that move so Samsung overtaking them to take crown spot as a mobile phone maker. Nokia shunned Android and the world seemed to shun them for that. Nokia, the 150 year old company seems to be good at re-inventing itself as the firm started as a paper mill, then morphosed into a boots and tyre maker and eventually phone maker. Nokia turned to Windows as their Operating System of choice for their flagship Lumia devices but this move saw Nokia peddling a mere 20 million smartphones against hundreds of millions of Androids. Microsoft will not be allowed to use the name Nokia as if its totally theirs and Nokia will not be allowed to make any phone labelled Nokia until 2015 December. So Nokia may start making phones again as soon as 2016. Where have all the good phones gone to? I remember my first “smartphone” a Samsung Star. The 3 inch screen phone was perfect. You could use the phone with one hand. It fit perfectly in my pocket. I also liked the hand writing recognition feature it had. The phone didnt have much bells and whistles but it was capable of almost anything I wanted it to do. If it wasnt for the fact that it didnt do whatsapp I bet I would still have it. Just a few years forward, phones are now horror. Look at the screen! Its so huge, you can watch a movie as a whole family on it. You can feel the phone filling your pockets from seam to seam! The battery life is terrible! On the Samsung Star, I could browse the internet and still get days of battery oomph to go by. Now, you can barely last a day even if you are on standby. Talk about using the phone with one hand. You cannot do it. Unless if you have 7 inch long fingers. You have to hold the large phone with one hand whilst pulling down the notification bar. Phones are no longer phones. They are laptops, TVs, Maps, I mean they are just everything it makes you feel numb with the sheer number of things you have to do on a phone. I am typing this article on a phone! Who knew I wouldnt need a computer by 2013? I really yearn for the day when phones are phones not a swiss army knife to do anything and everything. Besides that, phones are now show off gadgets. Step into public transport, either all the guys who have these super sized phones are holding them in their hands or, they are actually poking them incessantly. Besides the Samsung Star, which other phone do you think were sweet to use? I saw a service that allows people to send free sms to any number in the world. You can access the service from your phone. However you need a data connection to connect. You also need to write down the number of the recipient because unlike http://www.binu.com you cant access your contacts. However the good thing is there is nothing to download and there are no adverts that accompany sms as of now. There is also no registration, just send your sms. To access the service go to http://www.mfreesms.com and enjoy. 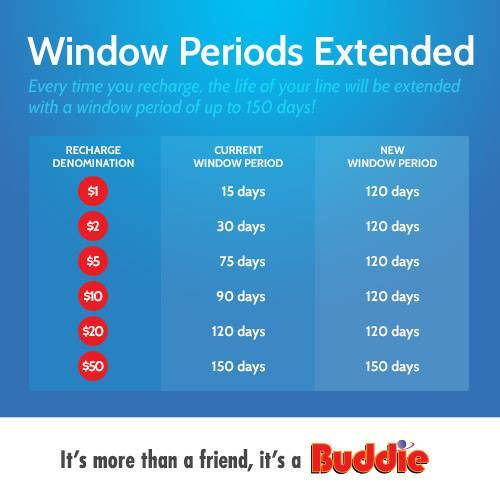 Buddie has extended its window “periods” (Dont get alarmed, its not the other periods though) on its Buddie Product. For $1 to $20 you used to get a minimum of 15 days, but now you get an amazing 120 days irregardless of the denomination you top up with. And if you top up with $50 you get a whole 150 days which is almost half a year. It seems Econet is competing on every point imaginable. We hope this helps you a lot in these days where having multiple sim cards is all the rage. If one Network drops prices, you shelf Buddie knowing that for the next 3 months your $1 will keep your line active! NetOne drops price of dongle. In news that won’t make most of us happy, Netone has reduced prices of its internet dongle. Well if you have a laptop or computer then you might consider this offer but with internet dongles from Econet and Telecel going for $30 and $28 I think there is really no news for a netone dongle going for $35. Besides, we are all jigging up and down on our feet waiting for the 4G Econet dongle that has break neck speeds.